While most businesses these days have learned to see the value in content marketing, not as many have taken the time to figure out exactly what it takes to be successful at it. 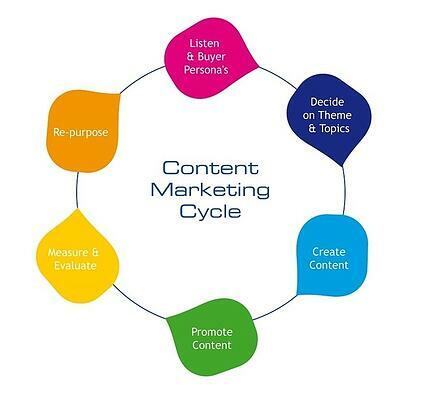 While it might seem straightforward, a successful content marketing plan requires a lot of thought, effort, and systematic implemention--something that, while not complicated, does come with its fair share of landmines. To help out, we at EYEMAGINE have compiled seven common mistakes we see that too often hinder the progress of your content marketing efforts--in addition to explaining exactly what it takes to combat the problem. So, what are those things you might be doing that are hindering your content marketing efforts? 1: You prioritize quantity over quality. No matter how much content you are releasing on a weekly (or even daily) basis, if that content isn’t worth taking the time to consume, you are wasting time creating it. Prioritizing quantity over quality is an easy way to seem like you’re a successful content marketer—but your audience is going to figure out sooner rather than later that engaging with your content is a waste of their time. Though it might seem like a good idea when you are pressed for time and results, a time crunch doesn’t justify pouring out weak content for its own sake. Though it is a quick fix to an immediate problem, weak content doesn’t bring in any new traffic—rather, it wastes valuable time and resources on content that disappoints your audience and shows little to no ROI. Take the time to do the front-end work that will show results on the back end, like building a long-term content strategy, doing keyword research, using a consistent style with no typos and useful imagery. While it might mean reducing the sheer volume of content, your audience will appreciate recieving content that actually applies to them, rather than worthless additions to their feeds. 2: You sell rather than teach with your content. When it comes to content marketing, it’s your job to educate first and sell second. Teaching your readers how to solve a problem and who to reach out to for help is your first goal—even if it does make sense to talk about specific products for the part of buyer’s journey your reader is in, your content marketing efforts shouldn’t read like the script of a sales pitch. Unfortunately, many businesses think that content marketing means writing almost exclusively about their products or services—and while knowledge of these things is valuable information to offer, it certainly doesn’t do anything for building trust and connections with their audience. Make it your goal to be the person (or business) your audience goes to learn how to solve a problem, rather than where they go to be sold something. Having people see your content as useful or educational—and sharing it with their networks—will help your audience to recognize you as a subject authority over time, and inspire them not only to buy from you in the future, but to speak well of your brand even when they aren’t making purchases. 3: You aren’t an expert on your topic or subject. If you’re taking the time to create content with the eventual intent of selling people on a product, service, or business, you need to know what you’re talking about. Just like it’s often easy to see when someone has no idea what they’re talking about when explaining something to you, educating someone on a product or business you know little to nothing about is going to quickly become evident to your audience. Even in situations where it would make sense for the individual writer not to know everything about the topic they are writing on—specialized products, businesses or industries often hire freelancers to write their content, or have content creators whose content covers a wide range of topics—the writers do not take the time to learn about their topics through research or interviews with authorities on their topics, which comes off in their writing. Take great pains to make sure you know what you’re talking about before you embark on writing about any given topic—particularly those topics that require an active knowledge to explain to anyone. Even if you don’t be come an expert on the topic yourself, make sure to research thoroughly and use credible sources and references to show people that while you the writer may not know everything there is to know on a topic, you know how to compile the voices that do. While writing about “hot topics” to draw audiences to your content can sound appealing, the goal of content marketing is to provide content that proves its value both today and long into the future. If most of your content doesn’t carry past the most immediate headlines in your industry, it probably isn’t going to stand the test of time on your website or blog—which means you will both lose traffic to those blogs over time and never be able to reuse or recycle the content in the future. Evergreen content is anything that provides a basic overview of a topic, providing information about it that will be just as true for the extended future as it is right this moment. When you write content based on facts that won’t change for extended periods after you publish them, your content can draw just as many readers on day one as it does day 365—on top of being prime content to recreate as a video, ebook or webinar if the content does well enough to warrant it. 5: You aren’t utilizing SEO. If you are one of the many content marketers who doesn’t take the time to figure out how to mesh your work with SEO, you are missing out on a wealth of opportunities not only to get your work seen by your customers, but a fleet of new eyes who might find your content just searching through the internet. SEO is what helps drive traffic to your website organically, decreasing the cost of customer acquisition and giving your content marketing efforts a traceable ROI. Not taking the time to integrate it into your content marketing strategy will cost you a fair number of customers and leads in the long run. Start by creating buyer personas for the people who visit your content already, and then build a keyword strategy with tools like Moz or Google Adwords to figure out how to maximize your content to that specific audience. From there, you can build both a effective topical content strategy, building blogs around a particular topic and using it consistently through your page, including title tags, paragraph headings and alternative text. 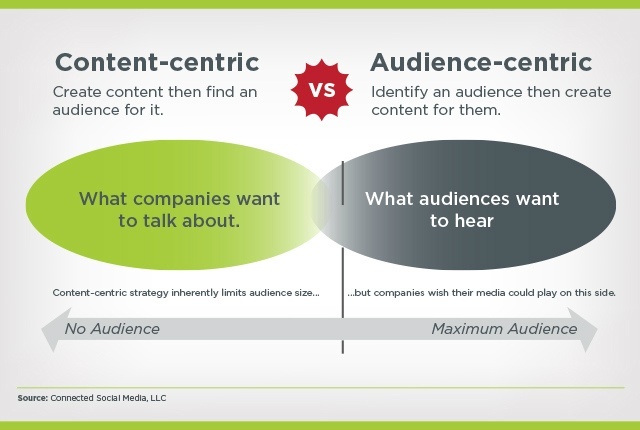 Creating content without considering the interests of your audience is a huge part of what prevents your content marketing efforts from being successful. Though it might seem appealing to write about topics your business wants to talk about, targeting your audience properly—and creating content that meets the needs of that audience—is what a good content marketing strategy does effectively. First, identify your audience. Again, understanding buyer personas are a huge help here—all the research on the modivations, information channels and buying habits of your customers are aggrigated within them. From there, you can build a content calendar or strategy to meet the needs of each audience, super-focused to meet their needs (which will lead to not only more engagement, but more qualified engagement with your products and services). Understanding segmentation in content marketing is key to building an ongoing content marketing strategy, just like understanding the value your product, service and content can give to your potential customers is. Focusing on the needs of the customer, rather than the wants of your company, is the fastest way to see more interaction and ROI from your content marketing efforts. Though it's rare to find a business that hasn't done any sort of social media content promotion, many do not take the time to optimize their content to meet the needs of audiences using different social media channels. While marketing your content on social media is a great way to gain exposure, no two social media channels are the same—which means those who like getting their content from Twitter (which prioritizes share links and information condensed into an overview) will engage differently from those who prefer Facebook (which encourages liking, sharing, and in-depth commentaries in the comments). Similarly, your particular audience may be best engaged with via one or two particular channels—maybe they are avid Facebook and Twitter users, but they rarely use Instagram or LinkedIn—even though your business is putting effort into every channel equally. While it doesn't hurt to engage on all social channels in some capacity, wasting your energy on channels that do not show much ROI is a waste of your time. Again, the best thing you can do to excel here is do research on what channels your audiences use the most. This kind of information is usually researched while you create buyer personas (noticing a trend here? ), but even just tracking the metrics of your posts on social media on all channels and changing your posting strategy based on where the content does best is useful as well. While it might be easy to feel discouraged by the daunting task of building an effective content marketing strategy, these tips and tricks will help you avoid the pitfalls of newer content marketers to build a quality content strategy. If you are looking to improve your strategy in ways that will show real ROI, keep these things in mind--and if you are still in need of assistance understanding what goes into a successful campaign, EYEMAGINE is here to help you with each step of not only content marketing, but rCommerce and eCommerce as well.